Ten days ago, someone threw a brick through my front window. Nine days ago, someone keyed my truck right in my driveway. Eight days ago, someone spray painted the words ‘stay away’ across my garage door. That one really pissed me off. The jerk didn’t even have the courtesy to tell me what the hell I need to stay away from. Each day it’s something new, a new piece of my property vandalized, and I’ve had enough. Wanting a security system, something with cameras so I can catch the vandal, I let my best friend hook me up with her cousin, a private investigator with the PRG Investigations team. His name is Vance and I’ve secretly been in love with him for three years. He’s a badass, a little scary, incredibly hot, and he’s never showed an interest in me … until now. Ashley Stoyanoff is an author of paranormal romance books for young adults, including The Soul's Mark series and the Deadly Trilogy. She lives in Southern Ontario with her husband, Jordan, and two cats: Tanzy and Trinity. In July 2012, Ashley published her first novel, The Soul's Mark: FOUND, and shortly thereafter, she was honored with The Royal Dragonfly Book Award for both young adult and newbie fiction categories. 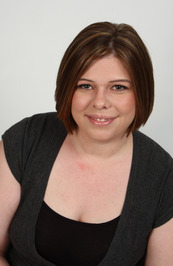 An avid reader, Ashley enjoys anything with a bit of romance and a paranormal twist. When she's not writing or devouring her latest read, she can be found spending time with her family, watching cheesy chick flicks or buying far too many clothes. Ashley loves hearing from her readers, so feel free to connect with her online.